The current government is one of the most intolerant to the media in the country’s history, the journalists union NUSOJ has said accusing Prime Minister Hassan Khaire’s administration of threatening journalist who don’t toe the line while putting others on monthly payroll to silence them. 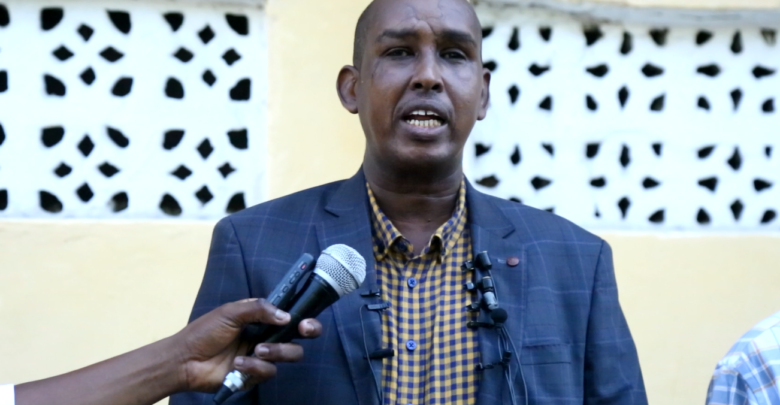 Addressing the media in Mogadishu Monday, National Union of Somali Journalists (NUSOJ) Secretary General Mohamed Moalimu said the government was using all means within its powers to suppress journalists citing instances where some journalists were threatened by the office of the Prime Minister. Moalimu also noted another journalist, Nur Ismael Sheihk was arrested November 20 and has not been prosecuted yet. The journalists’ leader said the government was continuously seeking to silence journalists and dividing them to ensure they do not report anything or hold the government accountable.